Holy Guacamole! 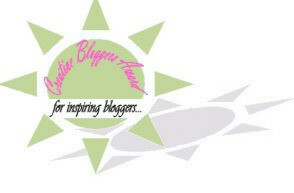 Another Blog Award! One of my newest (and youngest) friends, Oscar, has nominated me for the Liebster Award. I can’t begin to say how honored I feel. You can check out his blog at: A Rottweiler at The Cottage on the Green. With the nomination comes the duty of having to answer 11 questions. Here goes nothing! 1) What do you consider to be the best time of day: Evening. That’s when Mom and me get our snuggles in. 3) Do you have a nemesis, if so who / what? JAMISON! My stupid cat brother who is evil and wants to kill me but pretends to be nice sometimes and that’s even scarier. 4) If you could have a super power what would it be? I would want to be able to turn mean cats into toads. Yeah….toads. Not you, Carol or Sammy or Samantha!!! Just mean cats!!! 5) Postman, love them of hate them? What’s a postman? Be right back….. Ok! I just asked Dad what a postman was and he said it’s the girl that drives by our house in the jeep and puts the mail in the mailbox. She doesn’t bother me because our mailbox is really far from the house. 6) What is your earliest memory ? Living on the street. It was very scary. 7) How did you start writing a blog ? My Mom and I were looking at facebook and we saw a video of a hamster that went viral all because he was eating a tiny burrito. Mom looked at me and said that if that hamster could get millions of views, I certainly could become an internet sensation. So here I am! 8) Social media, pleasure or bane of your life ? Pleasure when I’m using it, bane when Mom is using it. 9) What is the one thing you treasure above anything else ? Family. Nothing means more to me than my parents and Khia. Not even pork tenderloin (that’s a story for another time). 10) Do you have a nickname if so what is it and why? That’s funny! I just did a whole post on this very subject: What’s in a name? 1) I think I might have a thousand spots. Seriously. 2) I have one spot that used to look just like Mickey Mouse but as I’ve grown up Mickey has become a bit distorted. 3) When Mom leaves for work in the morning, I panic and have to wake Dad. Yes, I know she leaves every day but it freaks me out and Dad MUST wake up right away. 4) When Mom first brought me home, I used to hide under Khia when we would go outside. 5) I have lots of toys but Dad’s socks are my favorite. It doesn’t matter if they are clean or dirty! 6) Having my nails clipped is my chinese water torture. I yelp before the clippers even touch the nail. Don’t even try to come near me with a grinder! 7) I like to steal Mom and Dad’s coffee when they aren’t looking. 8) I steal food from Mya who is blind and diabetic while she is eating. I never claimed to be perfect! 9) If you scratch my back just above the base of my tail I will “tap dance” and eventually fall over. 10) I enjoy watching the Puppy Bowl with Mom and Khia every year. 11) I am really weirdly shaped/sized and have a hard time finding clothes that fit. 3) The Adventures of Sawyer: My Jack Russell Terrier friend, Sawyer. He goes on some of the most amazing excursions and his mom takes BEAUTIFUL pictures. 4) Lexi the Schnauzer: She’s nice, funny, and beautiful. C’mon, I am a living, breathing male! 5) Cupcake Speaks: My friend Cupcake is a therapy dog and her mom write’s children’s books. 6) Easy Blog: My new friend, Easy the weimaraner is so cool! 7) Mister Baloney Head: Another new friend of mine who is really funny. 9) Wags Ahoy: My good friend, Gilligan, who inspires me to possible be trained….one day…..maybe. 1) What would you do if your parents brought home a new puppy? 2) If you could go anywhere, where would you go? 3) What do you hope to accomplish with your blog? 4) If you went to the pet store, what is one thing you couldn’t leave without buying? 5) What do you want to be when you grow up? If you are already a grown up, did you do what you wanted to do? 6) What is your favorite animal? 7) How would you describe your personality? 8) If you could change one thing about your parents, what would you change? 9) Do you sleep in the bed with your parents, a crate, couch, or a doggy bed? 10) Do you play fetch? 11) If you answered ‘yes’ to #10: Why would you play that silly game?! I just don’t understand it! If you answered ‘no’, is it because it makes no sense to you, too??? 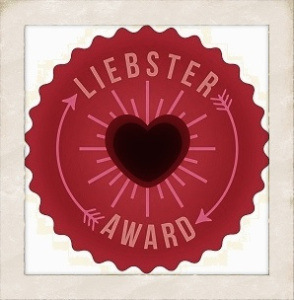 1: Acknowledge and accept the Liebster Award by leaving a comment on the blog where you were nominated. 2: Copy and paste the Liebster logo onto your own blog. 3: Link back to the blogger who awarded you. 4: Answer the 11 questions put to you by the person who nominated you. 5: List 11 random facts about yourself. 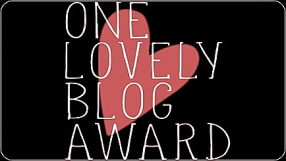 7: List 11 questions for your Liebster Award nominees on your blog. 8: Inform your nominees by leaving a comment on their blog. Posted by noodle4president on January 26, 2015 in Uncategorized and tagged blog, blog award, dogs, pets, Schnoodle. Brilliant, brilliant post I nearly fell over laughing at your answers, #3 had me in fits of giggles and as for #7 Of course your an internet sensation, I found you didn’t I !! Yur a berry amazin doggie Noodle!!!!! |Mee an LadyMum has leerned so much bout you. You were a barn cat?! Wow! Did you live with other animals???? I’m nominated! Wow! It reminds me of the time I played Toto for 26 performances and was nominated for a the Director’s Choice Annie Awards – Annies are like Oscars only they are local and named after a girl instead of a boy. Guess what? I won! First I would wonder if they needed their heads examined. If they wanted to clean up pee and poop all over the house and listen to a lot of whining, they should have just told me so. I can be very accommodating. 2) If you could go anywhere, where would you go? Back on the stage at the Theatre Centre. It is where I am happiest. I saw a ferret I really wanted, but mom wouldn’t buy it for me. I heard her say something about me being a ratter. I didn’t know I wanted to be a therapy dog until I got to go into the kid’s hospital and make them smile. Now I smile the whole time I am there doing therapy, and they smile too. It’s my best trick. I am an actor, a therapy dog, an agility dog and a freestyle dog. Yep, I did what I wanted to do, and am still doing most of it. 7) How would you describe your personality? My motto is “Mine, now.” Even though I can be pretty self-serving, I really am sensitive to how people feel and try to make them feel better when they are sad. I am busy, as in, “Why walk when you can trot?” I am focused on whatever I do. I like to bark but understand when Mom tells me to be sweet. 8) If you could change one thing about your parents, what would you change? They would feed my more often and with their food. 10) Do you play fetch? No, I play catch. I make up the rules, of course. Playing catch with the ball is good training for catching food, and that’s what’s important. Actually, once in a great while I will play fetch, but I only do it to make my mom happy. If she throws the stick or ball more than once, I quit. I can only make her so happy, then her happiness is her own responsibility. I hope this is what you wanted. I can do it different if you want. I want to win. Uh, what do I get if I win? I won! I won! I won! Yea! We all won! Yea! BOL!! I’m at work with mom today and I was really sweet to some people who came in the door so mom gave me a treat. Yea! And I love having all these new friends. I am going to check out everyone’s blog as soon as I stop campaigning for treats. That might be a while. Thanks again, Noodle! Concatulations Noodle!!!! Love your answers AND your random facts……. Congratulations! And many thanks for nominating me!!! My Mom and Dad brave the nail clipping because the vet techs seem to “fake” clip. They never take enough off. Thank you so much for the nomination and the great big shoutout…bark bark bark!! As SHE said: It was a labor of love! bark bark bark! 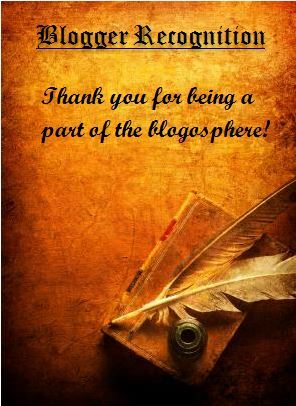 Additional shoutout for your blog recommendations…we are following a whole new group of new friends…thanks!! Hi Noodle! Thank you for the nomination! I’ve never received an award before and I am greatly honored woof woof woof! I can’t stop wagging my tail and bragging to my two dumb little meow meow brothers since I heard about this award. By the way, I LOVE the puppy bowl and mommy & I are really looking forward to watching it. I don’t think daddy is quite as excited… he pretty much just likes to watch those dumb humans run around with a ball and knock each other over. Mee-you Noodle mee Mum iss a feral kallyco gurl named Kallyco who livess inn thee barn of Lady Mary-Ellen’ss farm an mee Pappaw iss a wanderin Burmese mankat who fell in LUB with her. mee an 2 fursibss were born inn thee barn where there are 6 horsess an 20 other katss. Once mee came up to thee house mee made furendss with Jade thee doggie. Mee luvss efurryone!!! An now mee iss here bloggin an makin new furendss!! Mee-you Noodle mee an mee fursibss had Rhinotracheitis an Piny Eye…Rhino iss an Uppy Respiratory Infeckshun.an Pinky Eye iss reel contageeuss…. Wee were all so sickey but Miss Nikki tooked care of uss fur 3 monthss an wee all sirvivied. Mee had it thee werst….so that iss why mee iss with LadyMum….wee were brott together beecause 1) no one wood dopt me an 2) Ladymum fell in LUV with mee aftur 10 minettess! An yess now mee hass mee berry own bloggie an new furendss an Noodle yur speshell to mee beecause you reeched out to mee…a humbull Burmese kittyboy frum a barn…. Seereess yuckiess mee can tell you Noodle!!! Mee still hass bad dreemss of beein sick an LadyMum hass to comfert mee. Nightmares are the worsties! Looks can be very deceiving! LadyMum strokess mee an singss a littul song shee made up fur me…. iss called ‘thee littul man’ song….that helpss mee ALLOTT! Say mee gotted a New Vet; in fact mee Brofur’s Vet!!!!!! Mee goess to meet her Feb. 19th! You were rite Noodle. Mee just had to let LadyMum calm down an think cleerlee. Mee will go to mee Brofur’ss Vet on Feb. 19th. So thiss will bee a good fing! Thank you thank you! The verdict is in: Jamison is guilty! Fabulous answers. Congrats on the award! My nemesis is flies! I HATE them!